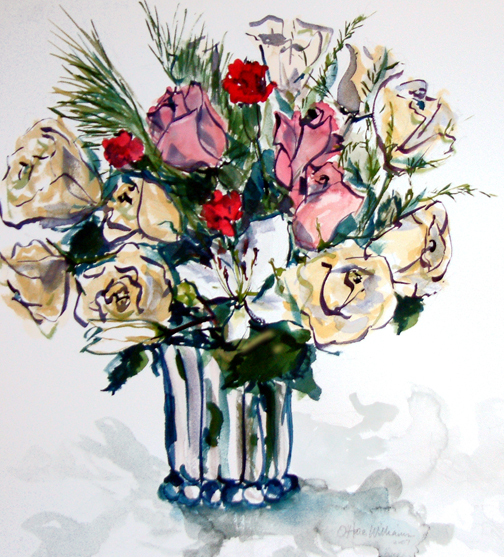 Patti O’Hare Williams is an artist known for her jazzy, often whimsical still lifes and landscapes executed with calligraphic lines. Her watercolors and oils are nostalgic, unexpected, and offer a new view of a classic scene. Her work is included in private collections, while her collaboration with fellow artists grace the walls of the Marblehead (MA) Veterans Middle School and the Tufts-New England Medical Center in Boston, MA. 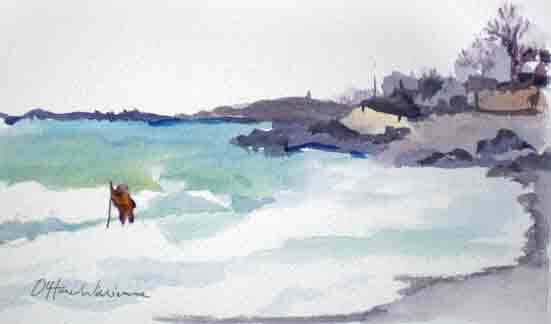 Ms. Williams is an artist member of the North Shore Arts Association of Gloucester, MA and Marblehead Arts Assocation, Marblehead, MA. 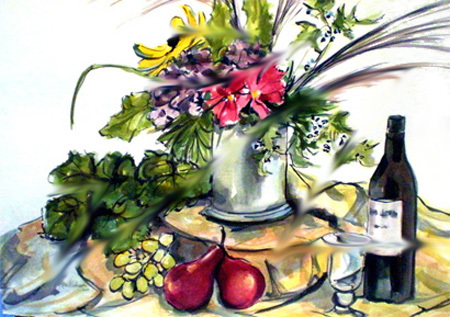 The work below represents the current calligraphic phase of her fine art. Additional information can be obtained by emailing oharewilliams@gmail.com. You can view her work by appointment at her studio, North Shore Arts Association (in season), Gloucester, MA or at Muzzio Design in Essex MA. NEW! 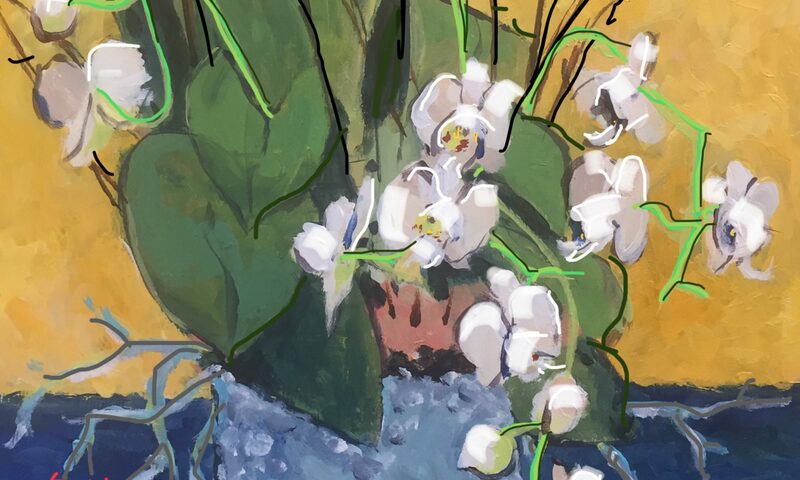 Tiles (8″ x 10″) of this orchid in bloom. Contact the artist for additional information. Ms Williams has recently been commissioned to create one of a kind paintings of dental practices that refer patients. This unique way to say thank you is a big hit. 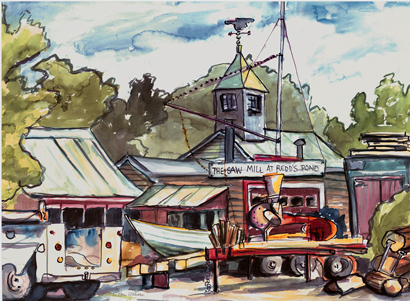 They can be any size and present well: 15″ by 22″ watercolors of their exterior buildings, framed and delivered by the artist with an expression of appreciation from your business to your referrer. If you have a certain person you would like to thank in a very special way please contact Patti at oharewilliams@gmail.com.